Looking for professional pressure washing in Richmond, Texas? Pressure washing is not as easy as it appears. Particularly for exterior surfaces that have mold and mildew growing on them. If the surfaces on your property have become moldy and slimy, they can become extremely slippery, making walking on them treacherous. Infinite Designs uses powerful equipment with just the right amount of pressure to remove dirt and stains without causing damage to your property. Call Richmond's pressure washing professionals at Infinite Designs for thorough and safe pressure washing: (832) 271-3912. 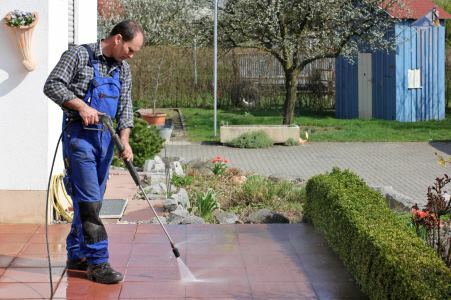 Our competent Richmond pressure washing contractors will ensure that every nook and cranny is cleaned completely. All of our cleaning solutions are used in "just right" amounts with consideration for our earth and your children and pets. For quality exterior pressure washing in Richmond TX, call (832) 271-3912.